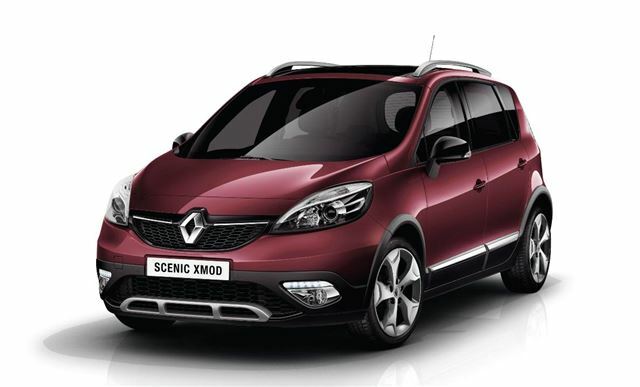 Renault’s new Scenic XMOD bridges the gap between MPV and crossover SUV. Based on the Scenic people carrier it sports chunkier styling, complete with a much larger Renault emblem on its nose, new wheels and silver brush guards. It’s set to premiere at the Geneva Motor Show in March before going on sale in the UK as a replacement for the regular Scenic. All of the key features of the outgoing Scenic are carried over, including folding and removable seats, a generous load are and plenty of storage space in the cabin. There are some improvements, too, like a 7-inch touchscreen multimedia system. Additionally the TCe 130 engine has been improved, with fuel economy up 15% over the old version. The Renault Scenic XMOD will premiere at the Geneva Motor Show on March 5, alongside a facelifted version of the larger Grand Scenic.